Investments: Yes, you ARE paying; What are you getting for it? Your Investments: Yes, you’re already paying; what are you getting? Home/Financial Coaching, Financial Fitness, Investing/Your Investments: Yes, you’re already paying; what are you getting? We’re going to look at the costs and benefits of the most popular solutions: DIY investing in stocks, using a “robo” platform, investing in mutual funds, and using a financial planner. Feel free to jump further down if you are invested in mutual funds (through your 401k or otherwise) like most people and want to understand those costs. Once you do, you might want to come back up here to the top and read all the way through. You probably want to get paid for your work. So do people who work in the financial industry. Therefore financial services cost money. When I first started talking to people about finances I was surprised how many people say they don’t pay for financial help. Most American’s have the bulk of their invested money in mutual funds through their 401k plan or a taxable investment account. Some own individual stocks, and some own ETFs, but most of the money is in mutual funds. All financial services have some costs associated with them. Let’s take a look at the different costs that you may or may not be aware of. Handling everything yourself and purchasing individual stocks is the least expensive way to invest. It’s also the most amount of work and generally the least successful. By the way, if you decide to invest this way, make sure you have a diversified portfolio (most professionals recommend at least 100+ stocks). Everything has a cost. When you are buying individual stocks you are going to be charged a fee every time you buy or sell. If you are a buy-and-hold person, versus an active trader, you can minimize those fees. Still, there are at least two charges – one when you buy and another when you sell. Trading fees tend to range from $5 to $20 per trade. Yes, I’ve seen trade fees that high. If you’re paying more than $10/trade you should consider finding a different brokerage. So, if you want to invest $500 split into five different stocks (so it’s at least minimally diversified), that could initially cost you between $25 (5%) and $100 (25%). Sure, you won’t pay ongoing for those trades already made, but that’s a big hit right up front. And you’ll pay it again whenever you decide to sell. That’s why I think the best way to consistently invest small amounts of money is to use a robo-investing solution. What do you get for the trade fees? You get the trades executed. You can’t just buy stocks on your own – you need to go through a broker. That brokerage is going to set and collect the trade fees. Generally you won’t get advice. A broker who is just collecting trade fees and buying stocks that you want isn’t going to make suggestions. Or at least they probably shouldn’t. How you should invest is impacted by things like your risk tolerance and your overall financial situation. To give good advice someone needs to understand these factors – which they won’t do for such a small amount of money. So is DIY investing best? In my opinion: No. Superstar investor Warren Buffett also doesn’t think stock picking is the best option for most investors. Even professional stock pickers (fund managers) – who literally do this all day everyday – only beat market indexes 8% of the time for the 15 years ending December 2016. If they have such a low success rate, why would a casual DIY investor do better? Statistics show that they generally don’t. There is what I would call robo-investing but also a different solution referred to as robo-advising. A robo-advisor is going to have you walk through a risk tolerance survey and collect some other personal information. They use this information to recommend specific investments – and allocations of those investments – to create a diversified portfolio that they think is best for you. Be sure to understand though that this “advice” is given by a computer program – not an actual person reviewing your account. So while it is “advice” it is rather generic. With robo-advisor solutions you lose the control that you have with DIY investing, but you gain the recommendations. You also get some additional features like rebalancing, tax loss harvesting, auto-diversification, and a user-friendly platform. This generally runs .25-.50% annually. There aren’t any initial trade fees, but there is a fee to continue using the platform and services. The fact that it is fixed as a percentage makes it especially nice for investing frequent small amounts of money. A robo-investing solution on the other hand isn’t going to give you advice. It’s going to help execute trades in a simple and cost-effective manor but you’ll pick your own investments. One of the more popular options let’s you define a portfolio of up to 30 stocks and they charge you a single fee buy that group of stocks. So rather than potentially 30 different trade fees, you pay a single one for up to 30 trades. It’s an interesting mix between automation and DIY-investing. This runs about $10 per trade. That’s great for buy and hold, but for someone who might want to invest $100/month consistently, this can really eat away at the invested amount quickly. So it isn’t for everyone. Robo platforms are going to execute the trades for you. In some cases they’ll also make an initial recommendation of the investments and allocations (percent of each investment to hold). These automated platforms will often do occasional rebalancing if you desire. Sometimes there are additional features like tax loss harvesting. You don’t get any personal touch though or a real person to work with on your overall financial planning. Mutual funds are the most popular type of investment currently held by Americans. Mutual funds can be purchased inside your 401k, your IRA account, a taxable investment account – just about anywhere actually. A mutual fund allows someone to make a single purchase (trade) into a fund that itself holds hundreds of different stocks. That lets the fund itself be diversified without the investor needing to worry about it. Mutual funds have a manager who decides which stocks (or bonds) to hold inside the fund, and who will occasionally change the portfolio. They’ll automatically buy and sell investments as they feel is best and which is inside the guidelines of the fund’s defined goals. Mutual funds are very popular. One reason for that popularity is that they make investing easier than ever. Another reason is that investment advisors make a lot of money from them, so advisors tend to recommend them often. This is such an issue that Morgan Stanley recently stopped offering low cost funds to their customers. Investors should definitely understand their fund costs and any potential conflict of interest with their broker. When are the mutual fund fees paid? 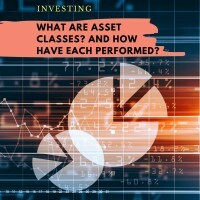 There are three types of mutual funds – “A”, “B”, and “C” class of funds. The same fund might have one or more different classifications available. (A) shares have a sales charge up-front when the fund is purchased. It then has an ongoing management fee, but usually a lower fee than (B) or (C) shares. The ongoing fee is often around .25%. (B) shares don’t have an up-front charge but often have a fee that gets charged if you sell within a certain period of time – often six years. (B) shares also have an ongoing management fee – often around 1%. But know that the ongoing fee usually decreases over time. (C) shares don’t have an up-front fee either. They do commonly have a fee if you sell in a short period of time – often within a year. (C) shares have an ongoing fee that is generally around 1%, which doesn’t decrease over time. Which is best? Well, that’s something you’ll need to discuss with your financial advisor and decide for yourself. I don’t think there is a one-size-fits-all answer. Otherwise there wouldn’t be three different classes of funds. You can read more details about (A), (B), and (C) class differences over at FINRA (the Financial Industry Regulatory Authority). How much do your specific mutual funds cost you? You can head over to Yahoo Finance to look up your mutual funds. Enter the name or symbol of the fund to find the fund. Then scroll down to the “Expense Ratio” section and it will tell you the amount of annual fees that the fund charges investors. Most people are surprised. Since it is automatically taken out of the account, and investors don’t “see” it, many people don’t realize the expense is there. NOTE: There are low cost mutual funds. Vanguard specifically has done a great job of lowering the expenses on many of their mutual funds. Just be aware of what fees are charged for whatever it is you own. What do you get for those mutual fund fees? You get the benefit of being able to buy a single investment that is already diversified. You also get a professional investment manager who will pick the investments and make trades as they feel appropriate. Here’s something to understand though. In 2016 only 34% of active mutual fund managers were able to beat stock market indexes. If you look at the 15 year period ending in December 2016, only 8% of active fund managers beat indexes. It makes me wonder if those high fees are actually justified. Perhaps investing in a low-cost index fund would be better. It’s something to consider. Financial planners are, unfortunately, often confused with investment advisors. I often hear “oh yeah, I have a financial planner” when the person actually just has a broker – likely a broker selling them high-cost funds. What a financial planner does is so much more than give investment advice. A good financial planner should work with you to understand your goals and dreams. Then every interaction with them should be through the lens of helping you achieve those goals. After considering your ultimate goals a planner should look across the entire financial landscape – income/cash-flow, debt, insurance, taxes, education, retirement planning, estate planning, investing, and more. The planner should then put together a plan where all of these moving parts are working together toward the master goals. A good financial planner is also often a coach. Someone you can call when you’re thinking about a big purchase, or experience a life event that shifts priorities, or you’re thinking about starting a business. Anything financially related – which honestly is most of life to some extent – can be enhanced by a financial planner. What does a financial planner cost? There are some financial planners who will work with clients initially and deliver a recommended plan, with related necessary actions. Those planners often charge a single fee that might range from $500 to $5,000 depending on the complexity of the family finances and the topics a client wants to address. Those planners often deliver a plan then step away until the client needs them again, at which point they often charge an hourly fee. It seems more common for a financial planner to charge fees based on the assets of the client. Somewhere between .50% and 1.25% seems a popular range. Clients in this arrangement though have access to the planner at any time. The planner works to know the client, both initially and tracking with them over time. This allows them to provide the best guidance possible. What do you get for this fee? Of course you get a financial plan. It will be a holistic picture of your financial situation, with some recommendations that align with your goals. Also, the planner, or someone on the planner’s team, will handle your investments for you. The planner will likely put you in lower cost investments than the average mutual funds – offsetting a good bit of their cost through that savings. The planner will help you with budgeting and net worth tracking. They’ll interface with accountant, insurance agents, and/or lawyers if needed. They are a professional resource always standing in your corner to represent your best interests. Are financial planners worth it? Most investor returns lag investment returns by about 2% annually. Not you though, right? Well, studies and statistics show us that this very likely includes you too. Being able to help on just this one point more than offsets a planner’s cost. 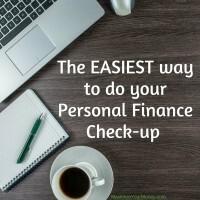 Studies also show that most people don’t have adequate emergency funds, proper college planning implemented, or have a solid understanding of how to achieve a comfortable retirement. These are very valuable actions that a planner can help with. save the equivalent of 1% per year by taking care of planning and tasks that you would otherwise have to deal with on your own? Quite often the answer is yes, a financial planner is worth it. For probably 2% of the population that is disciplined, dedicated to study, and diligent enough to DIY plan for themselves, a planner may not be needed. The other 98% of the population would benefit from engaging with a financial planner. Want to talk about what an unbiased financial life planning engagement might look like? Just reach out and let’s chat about how I might be able to help you achieve your life goals. Over and above the costs associated with the type of investment and investment account you have, there are almost always additional fees associated with 401k plans. Those fees are generally between .50% and .75% annually. Taken together with mutual fund costs (which are the most prevalent type of 401k investment) this puts the total annual cost around 2% per year. That’s one of several reasons that it is usually recommended to move your 401k money when you leave a company. You can roll-over a 401k from a previous employer into a much lower-cost IRA account at a brokerage. This step can have a big impact on your retirement account’s growth over a likely 30+ year timeline. How much do YOU pay for your investment advice? If you aren’t sure how much you are paying your broker or advisor, ask them! In fact, here are three questions you should ask your financial person immediately. The bottom line is that there are costs associated with investment advice and financial services. Whether you do it yourself at one extreme or engage with a financial planner at the other end. Fees aren’t always a bad thing. 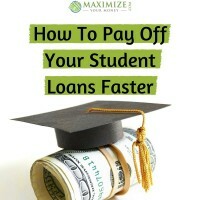 There are many situations where the fees are greatly outweighed by the benefits gained. You should make sure you understand how much you are paying and what you’re getting for it. That’s the most important thing. Take a moment to consider which of the above might be best for you – and if you need to consider any changes to how you’re getting your professional financial assistance. 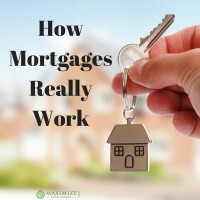 This is a lot of great info packed into one post! It’s kinda like real estate: people save a few thousand dollars in Realtor fees, only to sacrifice tens of thousands because For Sale By Owner can’t fetch as high a sales price. Or like taxes: too many people focus on minimizing the tax liability instead of maximizing after-tax returns. Yeah, those are similar situations – thanks for stopping by Michelle! It’s amazing the fees that some funds charge – and people don’t even realize how much they are affecting their bottom line. Great and thorough post, Brad. Thank you! Yeah, it’s unfortunate that the costs aren’t made clearer. I’m not against fees but show me some value for those costs please! Thanks for sharing your thoughts Laurie. It always amazes me when people won’t pay for financial advice but are willing to pay to get their oil changed. At the end of the day you pay for things that you need help in and don’t want to spend the time on. Too many people I think over estimate their ability to master the stock market and not enough admitting what their strength and weaknesses are. Great post!!! Great point MSM. Another thought: I wonder, the people who never even bother with regular oil changes – are they neglecting their finances even worse than their cars?